I love this picture. 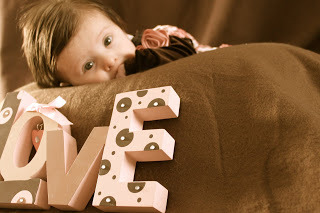 It is perfect for Abigail’s first Valentine’s Day….what taste of sugar!! I love being a mom and being a trained professional in exercise and nutrition. Sometimes both are hard. I have gotten a little frustrated as a Nutritionist lately. I get frustrated because it’s so so so hard to influence people sometimes. I know I have the capabilities to help people get free from sickness, love their body, have energy, balance hormones, etc. Instead of listening, people continue to make choices that only hurt their bodies and get defensive about it. I didn’t speak directly to this person in particular, but it frustrates me to know that they are closed minded. I feel like sometimes people won’t listen unless you work at a doctor’s office and have MD after your name. But having specific training in how to lose weight and living a healthy lifestyle, it’s frustrating for people to recognize what they are missing out on. They’d rather pay a fortune to diet companies (or just wait to pay till they get on medications and get diagnosed with a disease or cancer), mess up their metabolism, skip meals, be fat, hate their body, have no energy, and eat their processed food; instead of really living life the way God intended. People make comments about the way I look and can even be critical that I have returned to my pre-pregnancy body (almost..in my eyes) quickly, like it’s a bad thing. All I am doing is trying to eat and exercise the way everyone should. I want to share with others is how to be healthy and help them reap the benefits, but people don’t want to listen. They want a quick fix instead of surrendering their body to the Lord and making it a priority. Instead of taking the opportunity to cut out something that is harmful, excuses are made as to why they should continue to keep harmful things in their diet. The drive to please the Lord in this area of life is seen in few people (my opinion). Alright, done with my ranting. Now, it’s time to give this to the Lord and rely on Him to help me be affective with others. This is not intended to offend anyone who reads this, just to express some frustration in life. The Lord is in control and will hopefully continue to bring the right people to Fit For Life in order to get their health on track.